We love to eat breakfast for dinner, it’s easy and I have all the ingredients. One of our favorites is Pop Up Pancakes, also called German Pancakes. I like to put a little twist on them by cooking these in muffin tins. They cook up as little puff balls and are easy for the kids to eat! 1. I like to mix all the ingredients in my blender. I have tried to whisk it or even use my small electric mixer, but a blender seems to do the best job getting it smooth. 2. Pour the mix into your greased muffin tins. Or your baking pan, as my mom likes to bake these in a jelly roll pan. 3. Bake them for 15 minutes in a 400* oven, or until puffy and golden on top. Use a knife to pop or pry them out, hopefully they were greased well enough and should pop right out. They puffiness will die down as they cool, and they become more like a cup. Now they are ready for toppings. I love syrup, powdered sugar, and fruit. You could even use fresh Strawberry Jam. We usually load it all on and dive in. What do you use to top your pancakes with? Maybe peanut butter or honey? 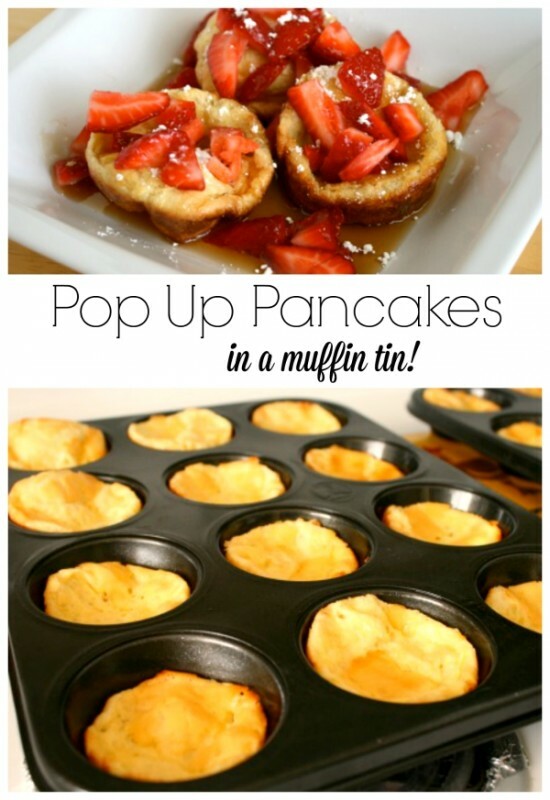 Make the classic pop up pancakes (German pancakes) in a fun new way using muffin tins. Perfect little bite-size pancakes! I like to mix all the ingredients in my blender. I have tried to whisk it or even use my small electric mixer, but a blender seems to do the best job getting it smooth. Pour the mix into your greased muffin tins. Or your baking pan, as my mom likes to bake these in a jelly roll pan. Bake them for 15 minutes in a 400* oven, or until puffy and golden on top. Use a knife to pop or pry them out, hopefully they were greased well enough and should pop right out. They puffiness will die down as they cool, and they become more like a cup. I love syrup, powdered sugar, and fruit. You could even use fresh Strawberry Jam. We usually load it all on and dive in. Make these quick and delicious breakfast muffins the whole family is sure to love! 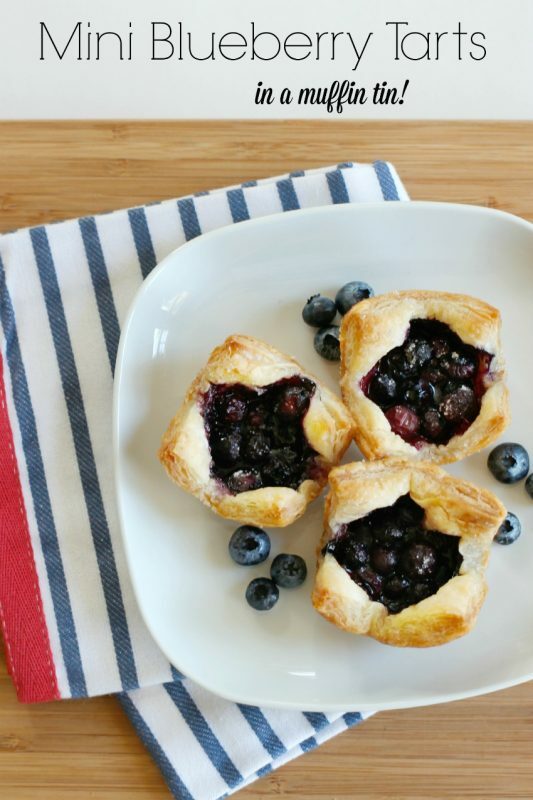 These little tarts are just the right size for a little treat, especially during blueberry picking season! 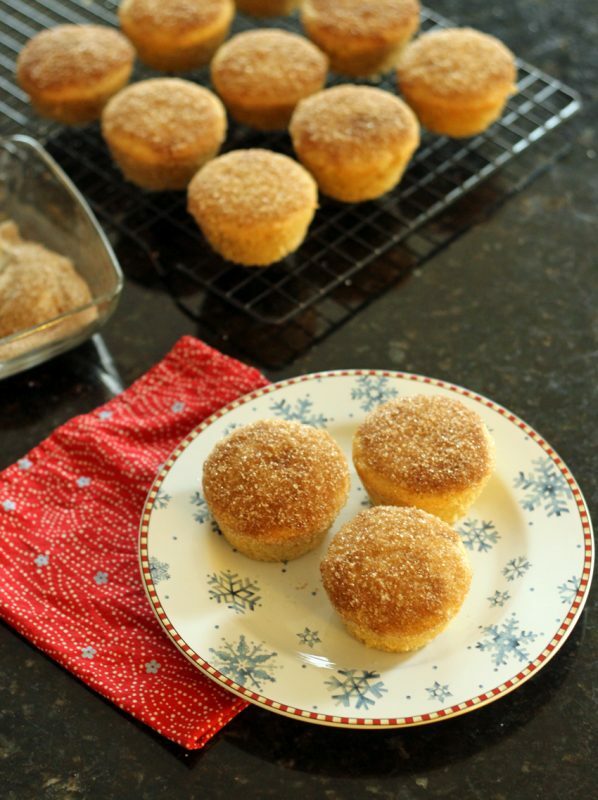 Kids will love to help make these doughnut muffins to eat for breakfast or a yummy snack! Just made them today and they came out perfect. Also made some bananas foster and blueberry topping. OMG so delicious. Had one with jus syrup and cinnamon and they were awesome. Thank you. This is a yorkshire pudding recipe..lol…switching out the butter for beef fat…or grapeseed oil, peanut oil etc. for either, because it has such a high smoke point…and heating that in the pans first. That way they never stick. They both work better if the batter is chilled overnight and whisked again just before baking…..guarantees they won’t fall. I just love these and make them all the time. My family is always excited to have them. They are just recently sticking to my muffin pan and I am using the same pan I always used. What do you use to grease your pan? Thanks for the amazing recipe. Hi! I stumbled upon your blog and happily tried out the pop up pancakes. 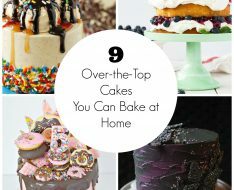 I love them–so thanks a lot for sharing–but I have a question: Is it ok to add sugar to the recipe to make the cakes sweet? They’re a little too bland for our taste even when light corn syrup is drizzled over it. If it’s ok to sweetify it with sugar, how much do you think I should add? Thanks so much! When we eat these, we always add powdered sugar and syrup. That’s makes them pretty sugary. But I’ve also sprinkled sugar to the tops of them before I bake, sprinkled right on the batter. It gives them a yummy crust. Do u think these would work with Ener G egg substitute, soy milk and vegan margarine? My son is allergic to dairy but would love these if they would come out ok.
I’ve made these with soy before and it turned out just fine. And I’ve cut the recipe exactly in half and it works great too. You can always just pour the mix into a 8×8 baking pan as well. Try it out with half the recipe and see what happens. If you do, please let me know how it goes! Tried these this morning and they didn’t deflate to make the bowl. Do you use self rising flour? I would like to try them again as they were good but want to know what I did wrong. I am a first generation German and although these pancakes look delicious they are not German pancakes. Real Deutsche Pfannkuchen are thin, more like a French crepe and are the size of a pan or plate. Just google Pfannkuchen and you’ll see what German pancakes actually look like. That’s really a great idea, I need to try it. We are always looking for new ways to eat breakfast, we can only do pancakes and waffles so much! Just wanted to let you know that your recipe was featured on my Cupcake Main Dishes list at my blog seekingsanctuaryatworldsend.wordpress.com – we loved your idea and can’t wait to try more. I made these for breakfast this morning. YUMMY! We love a recipe we make for apple puffed pancake in a 9 x 13 dish so when I saw this I knew it would be good. I served these with fresh picked blueberries, blueberry syrup that I cooked with just a little sugar, whipped cream, and assortment of syrups. They were so easy that I will be making these often. We always called them Swedish Pancakes and my mom would make it in a 9X13 pan. We loved them. Will be trying this recipe after I go to the grocery store and also passing it on to my friends, one who watches her grandchildren and is always looking for something interesting for the kids to eat for whatever meal she’s making! Hi I’m not seeing anywhere on the site as to printing out the recipe. I print out interesting recipes so I can use them at camp when we go camping. I looked for the print option put can’t find it on the Pop Up Pancakes. This same recipe made in the 9×13 pan is what they call Pannukakku (Finnish Pancake) in Finland. There are many different versions, with a little more milk, less eggs, a tad of sugar, etc. Very good, and a neat idea to do it in the muffin pan! can you use reg. panake mix? For a class project we had to make these scrumptious pancakes. We had never heard of them before, they were delicious and tasty! We made this in our high school class, and it was very easy to make. We all agreed it was very delicious, and we had fun putting all different toppings on it. To make it a little better we think adding whip cream or cool whip would make it even more tasteful. We make German Panckaes all the time, and I love the idea of making them individual in a muffin tin–thanks for the idea! Awesome! I made them this morning, but I added cinnamon and nutmeg. Though, I added 5 minutes to the baking time and I’m still finding them doughy inside. I’ve popped them in for 5 minutes more. I used a silver coloured nonstick pan by Wilton and I live roughly 200 metres above sea level so I’m sure the temp should work. AH, the wonder of working with an older oven (I’m assuming that’s why it isn’t working; usually my stuff does). I’m thinning I’ll add vanilla next time; as someone did above. Thank you! These are amazing!!!!!!!!!!!! And soooooo easy to make!!!!!!! These are a fun version of the classic Dutch Baby. I whipped up batch of these this morning and posted it on my blog. Gave you credit for the inspiration of course! Thanks for the recipe. pancake pop-ups. I would call them pancake cups instead. They sink in quite a bit, forming little cups They’re delicious straight from the oven w syrup and butter. We are going to try freezing for breakfasts later in the week. Kelsey, we did the SAME thing and had the same issue…it was more like a cross between an omelet and a pancake! What did we do wrong? Hi Marie! I just love your site! I’m going to share this site and this nummy recipe with my readers..You Rock! I cut this recipe exactly in half but instead of tasting more like pancakes, they just taste like scrambled eggs. Any idea why? Dutch Babies! I’ve been using my grandmother’s recipe –and this is the same! These look wonderful and you make it look very easy. Thanks! These were wonderful! My kids and husband absolutely devoured them. I think we found a new family favorite. 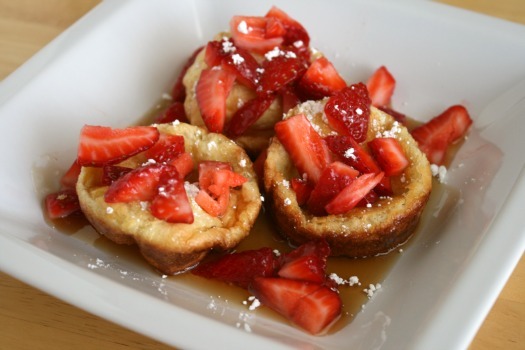 Found these last night on Pinterest – made them for breakfast this morning – yum! My kids absolutely loved theses – we have made them 3 times in 2 weeks! And you definitely need to use the blender – worked way better then my mixer. We’ve done these before (more like your mother does in a jelly roll pan, as German pancake) but I never thought about doing them in a muffin tin. what a fabulous idea! we’ll be trying it that way very soon :) Thanks! I love these! 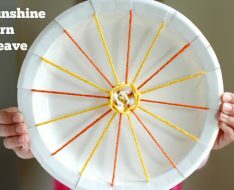 We used to make these all the time when I was little. I like to eat them with powdered sugar and lemon juice. So good! I’m so going to do individual pancakes next time! Looking for that perfect brunch in bed recipe? Easily print and follow the directions to make what will be your new favorite. Enjoy! We love these at our house. Our daughter is allergic to milk so she drinks rice milk. I use rice milk instead of milk and shortening for the butter. I also add cinnamon and a little splash of vanilla! 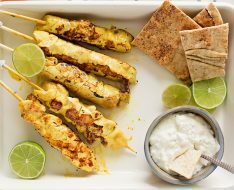 We love these for dinner and they are so easy! Thanks! Mmmm, these look really good! I love pancakes but unfortunately mine always turn out lousy, so I’m really looking forward to trying your recipe. Everyone is going on about Yorkshire puddings and how they’re are eaten with a roast usually. As a girl from Yorkshire, I can tell you that you CAN also eat them sweet, just substitute the salt and pepper in a savoury YP for some sugar. Yorkshire pudding mix is EXACTLY the same as pancake mix, the difference is how it is cooked. These look so good! 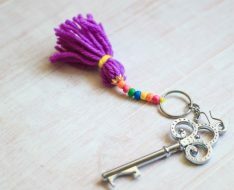 I am definitely making these sometime soon. My husband’s family calls this Hootin’ Annie! I never thought to cook them in muffin tins. Great idea. Megan – I haven’t tried it, as we always ending up eating them up right then, but I’m sure it would work. I would be careful when you heat these back up that you don’t over cook them in the microwave, as they might get a little rubbery! have you ever tried freezing and then reheating these? does it work ok? if it does, i could see these as a very easy make-ahead breakfast. i can’t wait to try the recipe soon! I made these for Sunday breakfast. I didn’t use a blender because I was too lazy to wash it later. While they puffed up beautifully, they quickly sank as I tried to get them out of the tin. I think I have to spray the bejeezus out of the pan. And you have to eat them soon after taking them out of the oven or they will sink. No matter, everyone loved them even if they were flat like real pancakes. Maybe I should bake them longer? Will definitely make them again anyway. Wowsers! Those look amazing! I may have to try them this weekend. Wow! We just made a 1/2 batch and finished them off no problem! 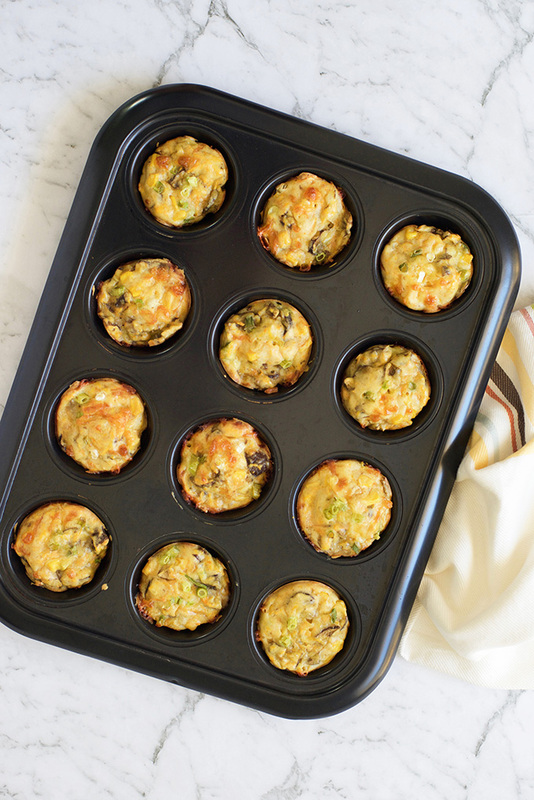 Delicious, easy, quick & love the muffin tin idea. I made one pan of regular size muffins and one tray of mini muffins – perfect for my toddler. Next time I will reduce the cooking time all around and try something else for greasing the pan. I used butter this time and they were tricky and sticky to get out. We made these this weekend, and my family loved them! Thanx for the recipe! I also linked to them on my blog. I’ve made these many times, and they’re always a hit at our house. My favourite topping for any kind of pancakes, is microwaving frozen berries (unsweetened). They come out with lots of juice and very soft and mushy, so it’s like a chunky sauce. You don’t even need any syrup or anything. Frozen blueberries work very well, especially. I’ve also done the puffed pancake thing, in a pie plate – puffs right up in the oven (until you open the oven at the end) – fun for kids to watch! Marie – bless you for putting up with all of these comments with a good attitude! I’m making them for dinner tonight and serving with syrup, powdered sugar, sliced bananas and sliced strawberries. My kids are going to love me! Thank you! 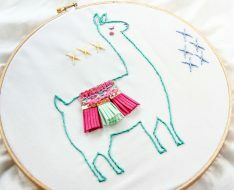 These look so easy to make- I love it! Do you know if they can be frozen? They look like they probably can be frozen… Thanks for sharing. In England, we call these Yorkshire Puddings and we eat them with our Sunday Roast Beef Dinner, with lashings of gravy and mashed potatoes. Then some people have the spare ones afterwards with jam and cream if they have room! I too have eaten these as a savory dish from my English descent mom, who got the recipe from her mom and grandma. We always had yorkishire puddings- cooked in muffin tins -with roast beef and mashed potatoes and gravy. They were (and still are) my absolute favorite dish from my childhood. I introduced them to my hubby years ago and he has since perfected the recipe. I am thrilled to try a sweet version!! We had thought to make them like a funnel cake with muchroom gravy over top….mmmmmmm! these look wonderful. I’ll try them soon. Wonderful recipe! I finally tried these and used them as bribery to get my mom to come over and help me with chores. She loved them! I did too. Thank you for sharing the recipe. We had them this morning for Valentines Day breakfast …. an absolute hit!!! Fantastic! Thank you so much for sharing! I do love these educational responses from our British cousins where they share their considerable experience and understanding of fine cuisine. I love it! We love our pancakes with strawberry jam, bananas and blueberries. Can’t wait to try this with my girls. These were good, but you need to REALLY REALLY grease the pan you use. I used a non-stick muffin pan and nonstick cooking spray (a lot) and still had to scrub and soak the pan after and the puffs did not come out easily at all. That part was disappointing and frustrating. The puffs were good, it was just hard to enjoy them slightly cold and mangled from digging them out of the pan. what an AWESOME idea. I love German pancakes, but hate making them in 1 giant pan (and never do). Just made these in muffin tins for dinner, and the husband and I devoured them. THANK YOU for an AWESOME idea–these would be so great for a brunch too–WAY easier to portion out than 1 giant pancake! It’s early, my brain is not in full gear yet. These look really good to eat! I’d love to try them!! Visiting from SITS today. I’ve added you to my blogroll! My husband lived in Germany for a while, so we have adopted the German pancake and love it. BUT! I will probably ALWAYS make it in muffin tins now (or at least, as long as I have small children!). Thank you! This was a fun meal for when daddy was gone! What a neat idea! My mom used to make German pancakes, but in pie tins and they were very difficult to eat, but SO delicious. 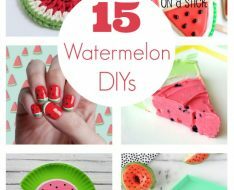 I will definitely try making these for my kids, they’ll love them! We made these for dinner tonight. All I can say is they were FABULOUS! Super simple and an easy clean up! These actually seem to be a sweet Yorkshire pudding – very interesting! I grew up calling these german pancakes too. I love putting these in muffin tins! The edges were always my favorite so now everyone can have an edge. What a great idea! I finally made the pancakes (actual pancakes, not the popup pancakes) in a muffin tin and they worked out great! I baked them 16 minutes at 400 degrees. So yummy and I could focus on making eggs or bacon while they cooked. Ah! I now realise I was far from being the first person to say that. Oops! How could one person know every variety of everything from around the world. It’s a big place and humans are ingenious when it comes to food. In the same way that Brits now often eat turkey with cranberry sauce on Christmas day, maybe we can share our custom of eating pop-up pancakes with a roast dinner with those on the other side of the pond. to the idiots who say “you’ve invented yorksure puddings” are wrong. yorksure puddings look similar but require that the muffin tins be filled and heated (until the oil begins to smoke) first before batter is added and cooked. Jessica – I’ve never tried to cook pancakes in a muffin tin, so I’m not sure. Sounds like it would cook up, but I doubt it would puff up like these Pop Ups, as they use different ingredients than pancakes. I may have to try it though or if you do, let me know how it goes. And yes, I realize now that this recipe is similar to Yorkshire Puddings. I grew up with this recipe as a child only as a breakfast item. But I’m excited to try them savory next time! Thanks everyone!! Can this work with a pancake mix? These sound delicious! Looking forward to trying them! In England we call these Yorksshire puddings and traditionally eat them with roast beef. Just thought you might fins that interesting. I love them with gravy, but my grandad would always tell me that when he was little he’d eat them with golden syrup and custard which seemed amazing, so I’m totally trying them as a dessert! We always called these Dutch Babies when I was a kid. Yummy! Its funny…..Ive been making these and eating these for as long as I can rememeber…Yorkshire puddings….Toad in the hole (or frog on the road if it doesnt rise!) and now I find they are worldwide with some great names! YEY to the humble Pud!!!! I’m so excited to make these. I know most German pancakes work fine with soy milk. I always make German pancakes many years but I never think of using muffin pan. MY QUESTION IS: Can I freeze some of Pop Up Pancakes? If so, how long will they be last? I finally tried these today–YUM! They reminded me of the popovers I’ve had by Jordan Pond in Acacia Park (in Maine)–one of my favorite memories! Thanks for the recipe! These look like yorkshire puddings to me. I make popovers and puffed pancakes. I put blueberries and powdered sugar over the puffed pancakes, and I make that in a big glass pie plate. I make the popovers in the muffin tins. For both of mine, I melt the butter in the plate/tins in the oven first before adding the batter. I did NOT know that’s what Yorkshire puddings are, and I’ve always wondered what Toad in a Hole was! How fun! Putting sausages and/or gravy on popovers sounds so delicious. . . .
what a great idea and they look like they are just the right size for the kids. every one can have there favorite filling and just think no arguing. have you ever tried adding cinnamon to the batter? What a great idea! I would have never thought to cook pancakes this way. Thanks for posting this. I’m going to bookmark your site and have a look around later when I have time. These are very similar to (or the same as) a Scandinavian concoction called ebel skivvers. The ones I had were slightly lemony, and we ate them with butter. 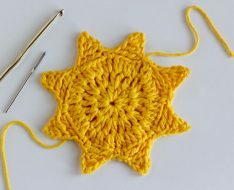 They were made in what looked like a cast iron muffin tin, over a gas range, and flipped using crochet needles! Oh thank god for stumbleupon! I’m seriously due for grocery shopping and I wasn’t in the mood to thaw any meat out and take the time to cook it and then I came across this. It was super easy to make and clean up (always a bonus point for me). I only had frozen strawberries but I heated them up with a little water, some honey, and a little bit of vanilla and it was AWESOME. Thanks! This is about the same recipe as the one I call Dutch Bunny (don’t know where the name came from). Only I melt bacon grease (I know, I know, but not a lot) in an iron skillet and pour the batter into it while it’s hot. Makes a crispier edge and still puffs up like crazy. Oh, I want some. We’ve made the yorkshire puddings for our Christmas dinner (along with the prime rib); served with gravy. They seemed more like a popover (crispier and no sweetness whatsoever). When our kids were really little I made the pancakes in the blender, then poured the batter in a 9×13, which had half a cube of melted butter in the pan. As soon as they came out of the oven, I would squeeze a fresh lemon all over it, and sprinkled with powdered sugar (this made the center fall, but the sides stayed puffy). As the kids got older we made variations. One of the their favorites was when their dad made German apple pancakes. They are yummy but very sweet (not good for diabetics). I can’t believe that you had 134 comments! Did you hear about blogging and being safe. The link is http://www.ksl.com; it’s from a news channel that did a piece on blogging safety…quite enlightening! Loved the muffin pan idea! Sorry, didn’t mean to write a novel! I am super excited to be featured at today’s creative blog. really,Thanks for the Love! It is great to have a different pancake to make. Enjoy experimenting and creating different dishes. These sound so cool! 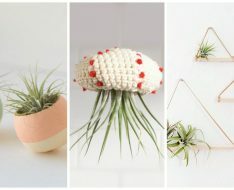 I’ve definitely got to try making these. Those are basically Yorkshire Puddings, here in Ireland and also in England they are served with Sunday roast with gravy. Lisa – Great question about the Pop Ups. I have never frozen them, but I’m sure you could. Just seal in an air tight bag, then thaw and pop them in the oven until warm and crispy again. Yum. 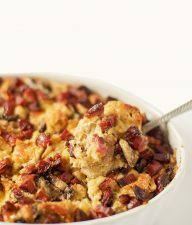 A friend of mine just emailed this recipe and it’s on the menu for tonight, breakfast for dinner…gotta love it! Was wondering if you can freeze the left over pancake puffs? This looks like a great alternative to the same old pancakes! Thank you for the recipe, just an FYI if you preheat the pan in the oven and then grease and fill they will come right out! Hi! I found you from Angry Chicken also, and we made these pancakes this morning! I used my stand mixer and substituted soy milk and they turned out very yummy! I lived at around 7000ft elevation, and probably should have added some extra flour, its always hard to know just how things are going to bake. I had left them in for over 20 minutes and they still weren’t quite so golden as yours! But we will definitely be making these again. We have been trying different types of pancakes every weekend, applesauce, pumpkin, waffles, and these, which have been the favorite so far!!! I tried making these over the weekend and they were GREAT. Kind of cross between a pancake and a crepe. Excellent receipe and very easy. Instead of strawberries, we used sliced peaches and cool whip. Yum. Thanks so much for this recipe! We had these for breakfast on Friday — seriously the easiest thing ever. Love it. In the UK these are called ‘yorkshire puddings’ and are eaten with a roast dinner! Hi, I found you thru Angry Chicken. I loved this idea so I made these for breakfast this morning. I think tho, that I should have maybe added some baking soda? The flour I had was all purpose and not self rising. Mine didn’t puff up like that at all, but they were more like a muffin. That didn’t stop me from eating 4 of them with yogurt and jam on top though. Growing up these were our favorite – we called it “BUMP” and I always thought it something my mom just made up, now I know better! :) I have 3 other siblings and we all got to choose our birthday meal every year – my oldest brother chose this EVERY single year. I make this but add a tbsp of brown or raw or demerrara sugar and a tsp of vanilla. Makes it a little less Yorkshire pudding (which I grew up on) and a little more sweet so you can cut down on the maple syrup topping. I turned virtual food into actual food yesterday and loved it! I added chopped Ginger gold apples into the center before baking and it worked just fine. My boyfriend and son liked them too! 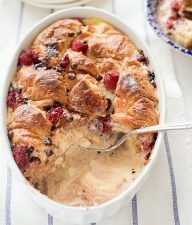 This does look tempting, but I’m British, so more of a Yorkshire pudding/’toad in the hole’ kinda gal! I will try and make an effort to have these with something sweet though, after all the positive comments. You can’t all be wrong! Maybe start slowly- some roast beef and custard, or brocolli and chocolate sauce…? These are just Popovers at our house and I will make them with dinner sometimes a little bit of butter on them…yum! You really need to try these with: sour cream, brown sugar, and fruit. Our very favorite way to eat them. Yum! i saw this recipe using stumbleupon and knew right away i wanted to try it. i am a college student with a tiny kitchen and not too many resources, but even i had all the ingredients! plus, these little things are delicious and so chic looking. i had friends over and served them three days in a row! once for breakfast and twice for dessert! we like them best with fresh strawberries softened with a little brown sugar and powdered sugar on top. thanks! I love breakfast too. I can’t wait to try this recipe. Thanks for sharing. i dunno if this has been asked/answered yet, but can we do this with just-add-water pancake mix?? Looks delicious. I can’t cook well or make any cookies. But I love browsing and searching for cooking recipe. Hope one day, I can learn to cook well and make bread. That’s really nice. Those look so delicious and simple to make. I can’t wait to try them! They called Yorkshire Puddings here in UK…One of the best parts of a propper British Sunday Roast. with Beef or Chicken and loads of gravy… :) I’ve never tried them as a sweet before…Might do that sometimes though. I made these this morning and they were yummy. We just had them with syrup. yum.. Either way, they were fantastic and we had them with boysenberry syrup, powdered sugar and frozen blueberries! Hi, these are just Yorkshire Puddings. A traditional Yorkshire… well pudding. We east them with roast dinners mainly, covered in gravy wih veg or whatever. Lorri – My muffin tins are filled about 1/3 of the way full and they puff up in cooking. Once they come out of the oven, most times, they puff down as they cool. Maybe yours just puffed down extra. I’m not sure what to say, but just try it again. For the front picture on the blog I used a smaller plate, so maybe that’s why they look bigger. Thanks for sharing and good luck next time. I have a couple questions, if I may. I baked these scrumptious little delights this morning and my kids absolutely LOVED them. We put a bit of maple syrup, whipped cream and strawberries on them. YUM!!! I made 24 from the original recipe, but it looks like you have more batter in your muffin tin than I did. I love pictures!!!! I had to spoon some batter from the other tins into the 8 remaining spots just to fill the 24. I’d say each tin was 1/4 full. When they came out of the oven they scrunched up into little balls and pulled away from the sides a lot. Each of the kids ate 3, I ate 2 and my husband and friend ate 2 each. Everyone was still hungry because they were so small. Did I do something wrong? On your plate it looks like they cover the whole plate…and in your tins they look huge (compared to mine). Mixed very well in my blender. I’ve made these 3 times now. I love em! I use lemon zest and lavender. Afterwards, I put a little extra butter and powdered sugar. Too bad they lose their puffiness after they come out of the oven. Yes, they are usually savoury in the UK and go well with gravy in any form, but we like left-over ones spread with a little cream cheese. They have to be slightly over-cooked, though, for the perfect crispy crunch oozing cool cheese! 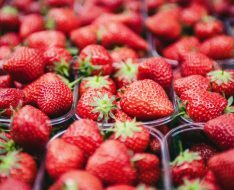 Alternatively, if you sweeten the batter slightly (add some icing sugar to the flour) then you can add soft fruit to the bottom of each mould before you bake. Something like stoned cherries or plums works well. This is a French dish called clafoutis [cla-foo-tee]. I like my pancakes with peanut butter and syrup and love my waffles with brown sugar, butter and chocolate chips. Hmmm. What a great idea…love it!!! Great idea! I love german pancakes and I love things individually-sized…and you put the two together! I can’t wait to try them. I will have to make these for my boyfriend sometime, he is not a fan of breakfast for dinner but he loves pancakes… and I hate the mess of them and the fact that I have to make mine first and they get cold or make mine last and he is already done eating T_T So this will be great! Thank you for the recipe!!! What a GREAT idea! I love this – grew up on these myself but this puts a great new twist on them, thanks! The popovers sound delicious But when you add the topping lemon juice and powered sugar do you mix them? I actually made them the night before and put them in the fridge for Friday morning. They were just as good warmed up! Oh dear – are people really as illiterate as they appear? i like it, i’ll definately try it. I was just about to comment but I see Jez said what I wanted to say. These are just like Yorkshire puddings. I eat these with mince ‘n’ tatties! Like carol said though, there is a very slight difference in the way they’re cooked. With the hot oil and so on. In the UK we could these Yorkshire Puddings, and they are a traditional accompaniment for roast beef, obviously without anything sweet on them. In Yorkshire they are often served as a dish in there own right, smothered in gravy and often served as a starter, again before a traditional roast, usually though this is a larger version maybe 6 inches across. For a cheap dish that kids love, brown some sausages and drop them into the batter before cooking, again this is often done in a larger dish although it works well with little puddings too – just cut em up a bit first, the batter rises up around the sausage so its sitting in a little hole, we call this Toad in the Hole, Yummy! love this idea! similar to german oven pancakes but in muffin tin! lovely.. actually there is some difference between these German pancakes & Yorkshire puddings(popovers).. it’s in the baking.. with Yorkshire puddings, you add oil to the pans & heat the pans before adding the batter. I’ve never heard of Yorkshire pudding. Thanks for sharing! I think these would make a delicious savory dish. hi, we have these in britain, we call them yorkshire puddings and eat them with a sunday roast, or sausage and mash. 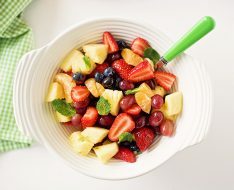 Wow thats great i was wondering if you guys could give me a little ideas for fruit substitutes. how do you make them with bananas? I always called them nanners! If any body could tell me how… !!!!! You mean Yorkshire puddings, surely? Like you have with a roast? In England we call these yorkshire puddings, we have them with roast beef, mashed potatoes, vegetables and english gravy – that what we call a roast dinner. They are a savoury delicacy, it seems strange to make them sugary sweet but im gonna try it anyway. We made these in my cooking class, but we put chocolate chips in them and whipped cream and strawberries on them. I like the muffin tin idea though I’ll have to try that. These are just popovers, and you don’t have to load them with syrup or any other breakfast crap. If you serve them with butter at dinner, you’ll be eating a rather refined take on the dinner roll. A lot of higher tier restaurants make them. This looks yummy. It inspired me to get my lazy buns into the kitchen. Thanks a bunch. My husband laughs because I love pancakes, any time of the day…it doesn’t matter. I will eat cold, leftover pancakes right out of the fridge for a snack. These look amazing! I totally want to try these. Congratulations! You’ve just reinvented Yorkshire pudding! My Grandmother called them popovers. We do them in a 425 oven and in muffin tins. What we called German pancakes aka “skinnies” are more crepes … has anyone read the “Cake DR.” ?? great ideas. We just got back from Amsterdam where pancakes are king. My favorite was recalled by the recipe above for pancakes with baked apples…. and in Amsterdam, they added cooked bacon. Yummy!! can’t believe I never thought of putting these in muffin tins…what a GREAT idea!!! AWESOME recipe! Making them for dinner tonight (right now they’re baking- can’t wait!) I used 2 round cake pans instead of a 9″x13″ or muffin tins hoping they come out as yummy as your muffin tin ones look! I put a cookie sheet on the rack below them just in case the pans are too small (I don’t think they will be, but I’m a little paranoid) ^_^ Wish me luck! Oh yum! Thanks for the recepie, these look great and seem fairly easy. I like to top my pancakes with agave and bananas… sometimes almond butter. we call them monsters, cuz in the oven they look like scary monsters growing. love the muffin tin idea, so doing it tonight. That is a great recipe and we also called them pop up’s or rather, Popeye they became through one of the kids. I loved the idea to do them in a muffin tin. This is quite the site. Wow, I am so impressed, you must be a very busy woman. Thanks for the note on my little blog. It is great to hear from old friends! 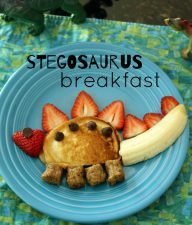 I am SO making these tomorrow for Sunday breakfast for the fam. The kids will LOVE them. Im thinking Peanut Butter with drizzles of honey or with PB with chunk of bananas. Or.. Or .. Or. Thanks for the recipe. YUM! Jessica – I can’t wait to try your Apple version. It sounds like dessert with maybe a little vanilla ice cream. Thanks for sharing your recipe. I am so glad most of you will be making these yummies for dindin! Aimee – I have been able to substitute the milk for soy and even cut out the butter completely. If there is an egg substitute, you could try it. Maybe just the egg whites? I don’t know how far an egg allergy goes. Or you could cut the recipe in half and make them for yourself for lunch! yum, Audrey has an egg allergy; so I’ve missed eating stuff like this. sometimes I make things like this, but feel bad for her when she has to eat something different. I always try to make her something that looks like what the others have though; we make pancakes with bananas instead of eggs; they are heavier, but taste good. hopefully she’ll grow out of it soon. My family gets together and eats these on Conference morning at my mom’s house. My brother started us eating them with sweetened condensed milk drizzled over the top with powdered sugar or whip cream and strawberry’s. So good. I like your version in the muffin tins. The moment I’ve finished my comment I’ll be hauling my laptop over the the kitchen counter to make these yummies for dinner. No strawberries on hand, how about blueberries? Fantastic blog, by the way! We are having this for dinner tonight! Thanks they look yummy. alright then i’m making these tonight for dinner then. mmm. 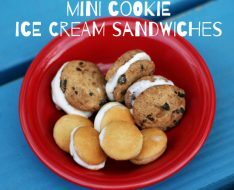 ohhh i’m going to have to try these this weekend when my nephews come over!! their mom always makes breakfast for dinner once a week, so i will pass your site along! Oh, I love, love, love to have breakfast for dinner!! The idea to use muffin tins is genius!! Thanks so much. I have just come over from Today’s Creative Blog where you were featured today. Congratulations!! 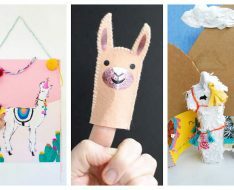 As a mum with a toddler and our second baby due in June, I am always excited to “meet” other mums who are keen to try out arts and crafts with their young family. You have certainly come up with brilliant ideas. Later tonight when my little girl is asleep, I plan to come back and visit your blog so I can have a good read through past posts. And I like that it is easy to scale! I’m the only one in the house who eats pancakes…so I might have to scale them by 1/6! Beck — couldn’t agree more. I think Danny was even more excited than I was to see Jordan on the blog. And Mariiiiieeeeee… (please sing that in the voice your mom used to answer the phone…) well, I love this idea… do you think it would work in muffin cups too… or would that just be a waste? I love the idea of the muffin tins… Danny loves german pancakes (or whatever we’re calling them)… so I am going to do this for a Saturday brunch. We love german pancakes! I have never thought to do them in muffin tins — we will totally be trying this. I like to make things a little more healthy if I can and have found that if I use whole wheat pastry flour (different from plain whole wheat flour) and egg beaters if I have them the pancakes turn out delicous and puff up really well. As for toppings, we love strawberries, powdered sugar, and low-sugar syrup. Or pure maple syrup if we’re feeling fancy :). who knew pancakes could get better and cuter! Wow! These look so delicious. Thanks for this great post. 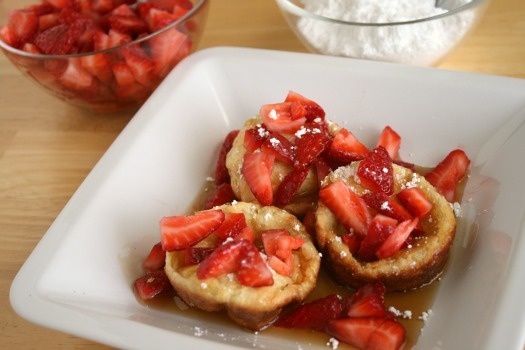 I am have a lot of strawberries in my fridge I am making these tonight! Thanks for the recipe. We had them for dinner tonight. YUMMY! droolicious. i’ve had an apple-y version of this and loved it. i always had the idea that making them was a production. but i can make them in muffin tins? i will be consuming them with much greater frequency. Growing up we called them “Puffed Pancakes” and we too did lemon juice and powdered sugar, but I was never a fan of that, but now I love strawberries and powdered sugar or whipping cream with them, so yummy. But what a brilliant idea to put them in muffin tins! 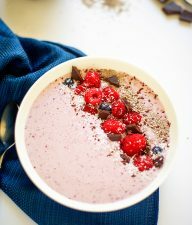 Here is another yummy recipe for a version of these, they are way up there on my list of favorite breakfast foods. Preheat oven to 425. 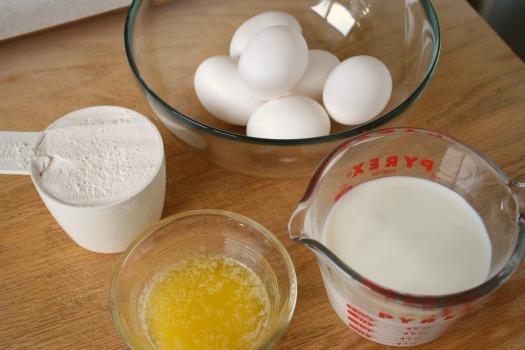 In a blender or large bowl, mix eggs, milk, flour, sugar, vanilla, salt and cinnamon until well blended. Melt butter in a 9×13” pan in oven, add apple slices to baking dish and return to oven until butter sizzles, do not let it brown. Remove dish from oven and immediately pour batter over apples. Sprinkle with brown sugar and bake for 20 minutes or until puffed and brown, Serve immediately. Kim – I am super excited to be featured at Today’s Creative Blog. Thanks for the Love! 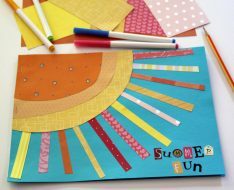 I have featured you today on Today’s Creative Blog! Email me for your featured blinkie. Oooo, you are all making me hungry with your topping choices. I have to try peanut butter, applesauce, and yogurt. My hubby likes to squeeze lemons on his. I also love the names these have for some of you: Dutch Babies, Hootananny, and Ocean Pancakes. Jos – I have actually made these with Lactaid before and they came out great. I am sure Soy milk would work as well. OTJenH – I love the term Bake and Take! I am going to have to use that for my recipe posts. Thanks. Becky – Jordan needed some picture love. And Jordan – You are mighty fine! Myrnie Twin – I have made a syrup before from powdered sugar and lemon juice as a frosting for a cake. Mix the two together with a little water to your thickness. That would be tasty on these! Good idea. I’m with Ashley- I love my breakfast starches (pancakes, waffles, french toast) with lemon juice and powdered sugar. I keep wondering if I could make a simple syrup from sugar, water, and lemon juice but haven’t tried it yet! I love these. I used to have them as a kid all the time. I never thought of putting them in muffin tins. Hmmmm…We’ll have to try it. Although it’s ‘wacky waffle wednesday’ I’m sure my little ones would have no problem forgoing the waffles for these cuties. Now I just have to go get eggs..I used to make something similar in just one big pan but never thought of using muffin tins. Thanks much! What a great twist!! We call these Ocean Pancakes. My mom called them German pancakes when we were little, but it always looked like ocean waves coming over the edge of the pan to me so I started calling them ocean pancakes and it stuck! I love the idea of doing it in muffin tins. I’d love to know what kind of tins you use…I’ve never really had good luck. Go to a Michaels and buy Wilton pans. I swear that they are the greatest pans for baking and aren’t all the expensive. 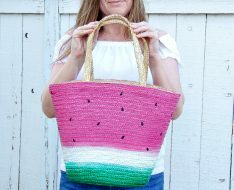 I’m just happy that Jordan made it on the blog! This reminds me of another recipe where you let me see if I can remember…you butter whole wheat bread slices then press it into the muffin tins, bake for 3 minutes. Then you put in each bread cup, a slice of ham and then crack an egg on top, salt and pepper. Then you cook fro 10-15 minutes more and sprinkle a little cheese on top! It is yummy. I don’t like sunny side eggs though so I scramble the egg a little bit before I put it on. My family always cooked them in a 9×13 pan and calls them hootananny pancakes. We always eat them Christmas morning. I’m excited to try them in a jelly roll pan or muffin tins. We also love our with lemon juice and powdered sugar. It’s great. We came home at lunch time and I saw this post… Guess what we were doing five minutes later? I halved the recipe, and we did an impromptu “Bake and Take!” We loved making them almost as much as we loved eating them (with vanilla yogurt, strawberries, and powdered sugar). Yum! Thanks for the delicious inspiration. LOVE this idea! banana slices, peanut butter, and syrup is quite yummy. what kind of muffin tins do you use? mine always seem to get rust spots and i don’t like using them without a liner. thanks for you great ideas. i just LOVE your blog!! I LOVE this idea. If I hadn’t made pancakes for dinner last night, I’d be making these tonight. I make breakfast for dinner all the time, and my husband doesn’t love it like I love it. But it is quick and easy. But last night everyone was eating and I was still flipping pancakes. So I REALLY love this idea. Thanks for sharing. We call ’em Dutch Babies and love ’em! 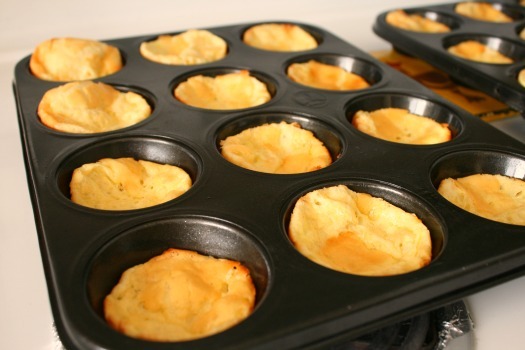 We LOVE German pancakes, but that is such a fun idea to make them in muffin tins! I’m so excited to try this! YUM!!!! I am totally making these yummy pancakes this weekend… I love a new fast breakfast idea. thanks! I love german pancakes. It’s great that you can eat them for breakfast or dinner! I think we have waffles with strawberries and cool whip at least once a week for breakfast or dinner. OOOOooohhh, these look so yummy! I think I have my dinner for tonight! On french toast I love applesauce and powdered sugar, and I am sure that they would be a great match for these little yummies. Peanut butter & applesauce is a favorite. Also, I just recently discovered a combo of cream cheese, raspberry syrup & whip cream. Oh, my! Very good. oh man..do you think this would work with soy milk??? Sometimes (well most of the time) I hate being lactose intolerant! HEy, Jos…they have pills that you can take to be able to process milk! I use the once a day ones and they work great. Also you can buy milk with that lactaid in it! BUT I am sure the soy milk would work…as well as my fav….almond milk! Good luck!! YES! I just made them with soy milk and they were WONDERFUL! I also added a TBS of vanilla. YUM!!! Yum! I love this idea. I know my kids would love them. Thanks! 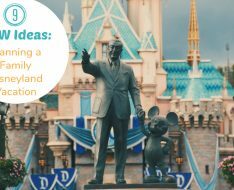 I’m thrilled to see this idea! When I was growing up my mom made German Pancakes every once in a while in a big pie plate, and I loved watching them puff up in the oven–and eat them, too. I can’t wait to try this version for my kids. Thanks!